It is almost cookie baking season! 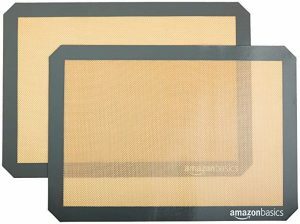 On Amazon right now you can get these nice AmazonBasics Silicone Baking Mat – 2-Pack for just $8.38! These will ship free with Amazon Prime or qualifies for free Super Saver Shipping with a $25 purchase.